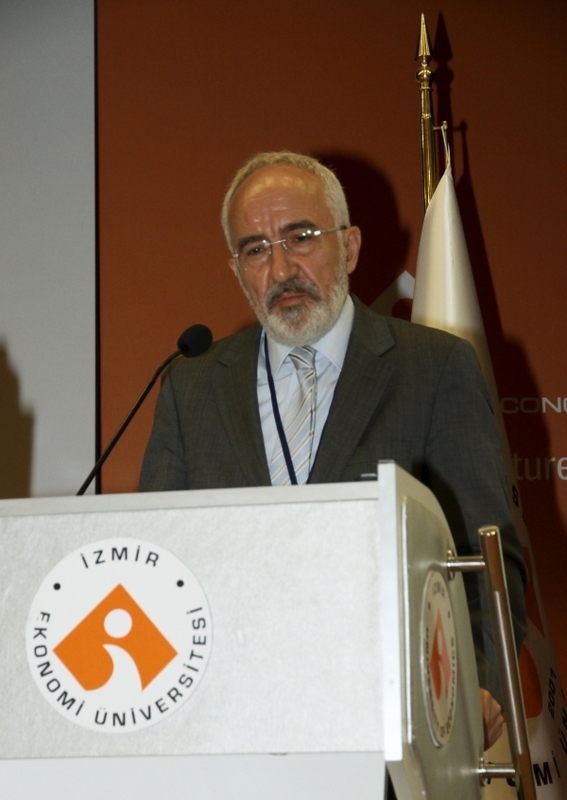 Izmir University of Economics (IUE) brought the issue of security of supply for natural gas markets to the table. The main theme of the Energy Management and Policies Workshop hosted by IUE Department of Sustainable Energy was “Security of Supply for Natural Gas Markets”. 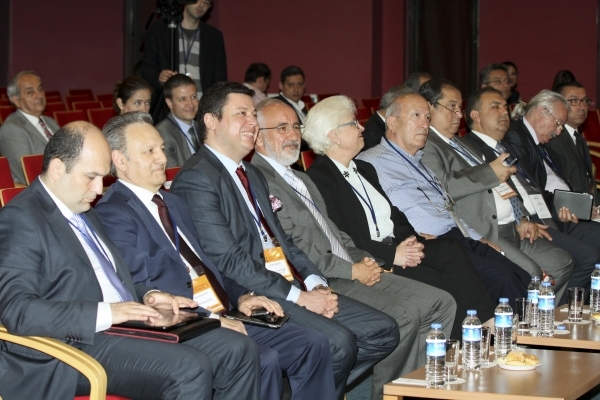 Süreyya Yücel Özden, Chief Supervisor of Executive Board of Gama Holding and Chair of DEIK Energy Work Council, was the keynote speaker at the workshop that took place at IUE Conference Hall. All the speakers began their speeches by expressing condolences to the families of the Soma mine disaster victims. Prof. Dr. Oğuz Esen, IUE Rector, who delivered an opening speech, pointed out that the energy consumption of Turkey increased in parallel to the economic growth. The Rector said, “The energy consumption equalling to 73 million tons of oil in 2000 reached up to approximately 120 million tons of oil by the end of 2013. We have an energy consumption of 89% made up of fossil fuels, which is extremely high. When we consider the fact that in 2013 Turkey ended up paying $56 billion for energy import and that the foreign trade deficit for energy for Turkey is 74%, it is easy to understand why the topics of energy security and security of supply are at the top of our agenda.” Prof. Dr. Esen stated that based on the statistics by the Ministry of Energy and Natural Resources, the ratio of natural gas in our country came in first place with 35% in total energy consumption as of by the end of 2013. He said that Turkey imported 98% of natural gas. He also mentioned that the University conducted studies in the field of energy and that they aimed for professionalism in the sector with the Sustainable Energy Master’s Program. Süreyya Yücel Özden, Chief Supervisor of Executive Board of Gama Holding and Chair of DEIK Energy Work Council, said that the majority of the energy consumption in Turkey happened in industry. Özden stated that Turkey consumed 2.5 times more the energy compared to Europe whereas it produced the same goods. 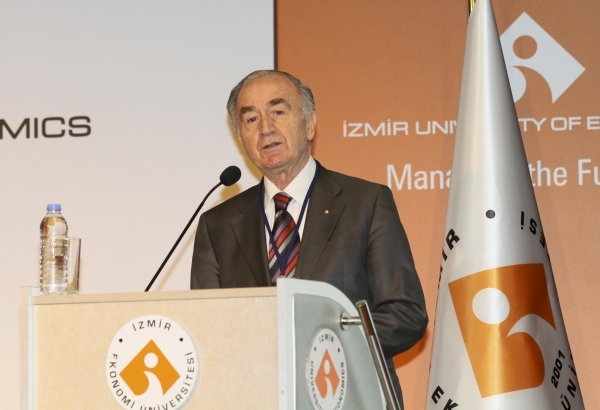 Özden said, “Our energy dependency on foreign countries is about 70% currently. Unfortunately, Turkey wastes energy. We have an energy intensive industry but we spend 2.5 times more the energy compared to Europe to produce the same good. The only benefit we have is to be close to the energy resources due to our geostrategic location.” Özden also stated that foreign dependency on energy caused Turkey’s foreign policy and life style ambiguous, and being this dependent on foreigners would differentiate the thoughts and life styles. At the first session, moderated by İbrahim Akbal, Chairman of the Executive Board and General Director of EgeGaz A.Ş., the guests Selçuk Advan, Natural Gas Purchases and Export Department Head of BOTAŞ, and Adem Küsmüş, Ankara Regional Director for BOTAŞ, Barış Sanlı, Vice General Director of ETKB Energy Works, and Rıdvan Uçar, General Director of AYGAZ Doğal Gaz A.Ş. discussed the natural gas sector in Turkey in terms of security of supply. The second session was moderated by Sezer Türktan, Senior Consultant of GDF SUEZ Turkey, where the guests Bağdagül Kaya Caner, Energy Specialist for EPDK, H. Emre Engür, Head of International Projects Department of BOTAŞ, Juliette Casoetto, Business Development Director of ELENGY, Assoc. Prof. Dr. Mehmet Efe Biresselioğlu, IUE Head of Department of Sustainable Energy, and Özlem Döğerlioğlu Işıksungur, Senior Managing Partner of Döğerlioğlu Practice of Law Office discussed the current issues in European Union security of supply. At the last session of the workshop, moderated by Prof. Dr. Murat Aşkar, Vice Rector of IUE, Sustainable Energy Master’s Program students presented their semester projects.